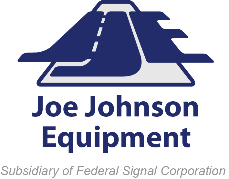 Joe Johnson Equipment (JJE), North America’s leading provider of infrastructure-maintenance equipment representing the industry’s market-leading brands, today announced that it has partnered with Michigan-based Bell Equipment Company (Bell) to further strengthen its presence in the U.S. market. Bell Equipment will become a sales agent for JJE in the Michigan and Ohio region representing JJE’s Rental and Used Equipment fleet. Bell will be stocking hydro-excavators, combo sewer cleaners, D.O.T. liquid vacuum trucks and Guzzlers, and providing support with local service and parts for those units.